The weight of those expectations falls to OCCM, whose on-site activities here are directed by partner Ashley Mead. Another big change: The renovated 18 will reopen as a walking-only course, a decision (rare in Asia) that necessitated the removal of some 8 km of concrete cart paths. Though the firm recently broke ground on its first U.S. project (renovation of Shady Oaks GC, Ben Hogan’s club in Dallas, Texas), OCCM have worked mainly and to much acclaim in their native Australia. Their recent 36-hole redesign at Peninsula Kingswood has catapulted the club into Melbourne’s elite Sand Belt cohort. Down the road at Kingston Heath, the firm’s long-standing consultation gig recently produced a stunning new 19th hole. And though OCCM has authored more extensive, similarly celebrated renovations all over the country -- at Victoria GC, Commonwealth, Royal Canberra, The Lakes in Sydney, and Lake Karrinyup (home to a European Tour event near Perth) -- Mead sees very little at the new Lanhai design that he would call “Australian” or even “Australia-inspired”. The team Ping An has assembled at Lanhai International is headed by the American Porter. Club operations are shared by U.S.-based Landscapes Unlimited and China's Forward Group, which also handled course construction duties on Chongming. The Forward/Landscapes partnership produced and continues to manage 9-year-old Shanqin Bay, now a fixture on every major world top 100 ranking. 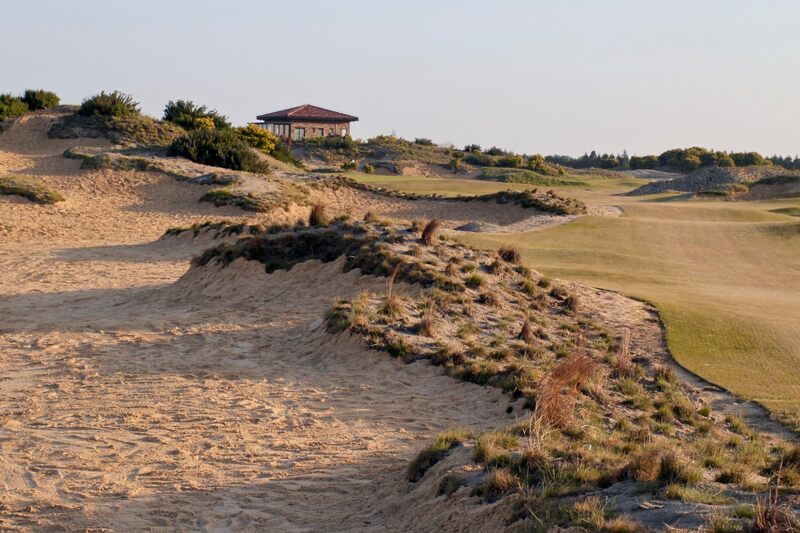 Indeed, the superintendent now presiding at Lanhai is Alan Hu, formerly the superintendent at Shanqin Bay, another Coore/Crenshaw design on another Chinese island (Hainan).